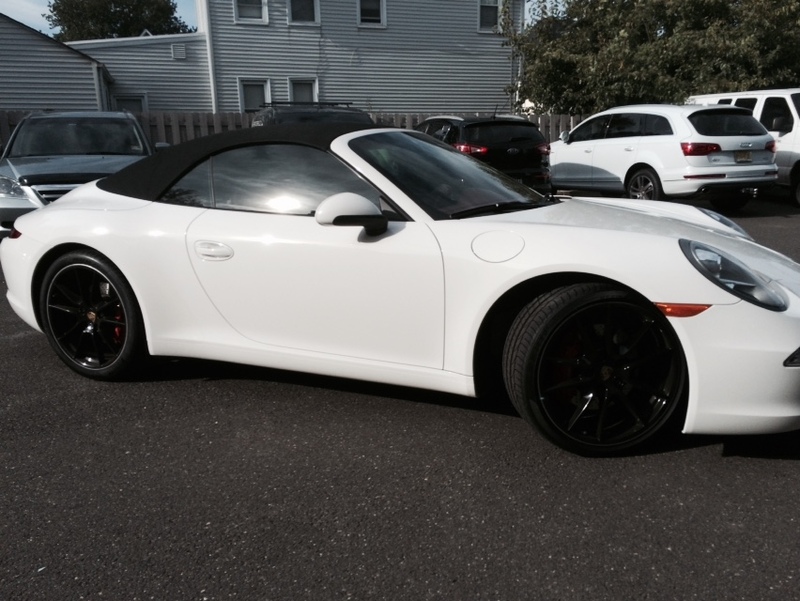 See us before you agree to dealer paint protection programs!. This new Ram received a thorough cleaning followed by some paint protection, glass protection and an interior cleaning. 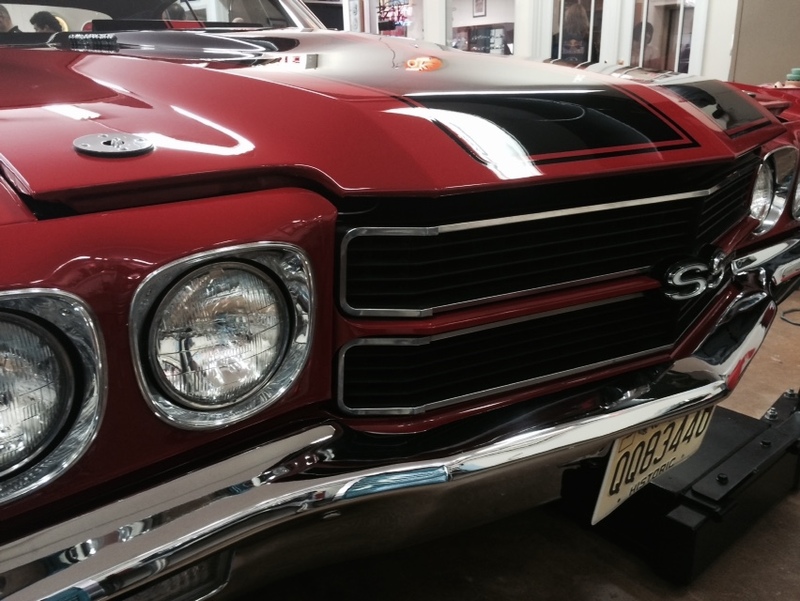 We offer paint protection from 3 months to 3+ years! We also offer leather and fabric protection on the interior. We know how to properly protect and maintain your vehicle's interior and exterior surfaces and Wolfeboro Carwash & Executive Detail can tailor a package for you! Truck Accessories? We've got 'em! Whether you need a WeatherTech Mats, a tonneau cover, bug deflector, ladder rack, tool box or just about any other truck accessory......We can have it ready for you in just a couple of days. We take care of making sure it fits so you don't have to. 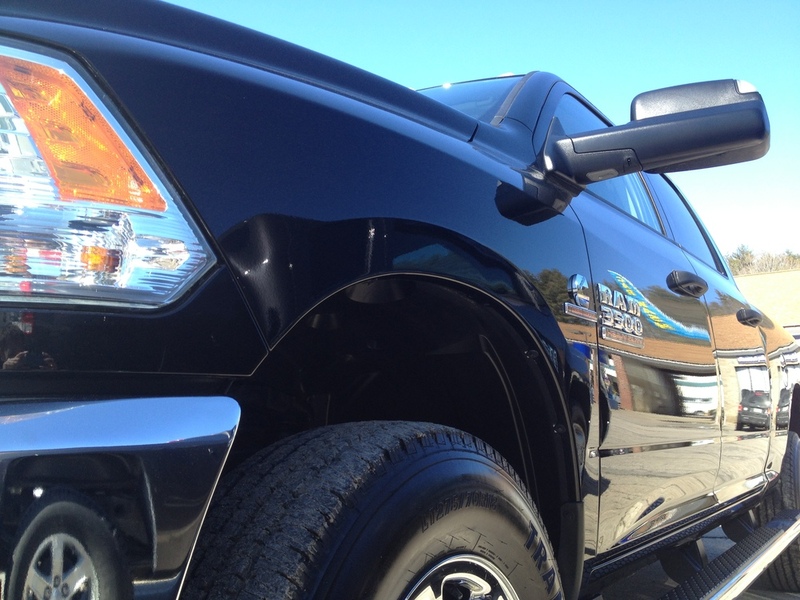 We also install most accessories and have your truck clean and accessorized when you get it back! WOLFEBORO, NH - January 29, 2013 – Andrew Swenson of Wolfeboro Carwash and Executive Detail, and a member of the now infamous Detail Mafia, just returned from Union Beach, NJ where he joined other team members in restoring 11 fire and emergency vehicles badly damaged by Hurricane Sandy. After washing and preparing the paint, they performed mild to moderate paint correction using a professional-grade show polish and finished it off with a coat of Tech Shine to give it a long-lasting shine. This uniquely developed skill is why Doyle’s team call themselves the Detail Mafia. They take on every job with a vengeance and they are truly a family, giving time to one another when in need. 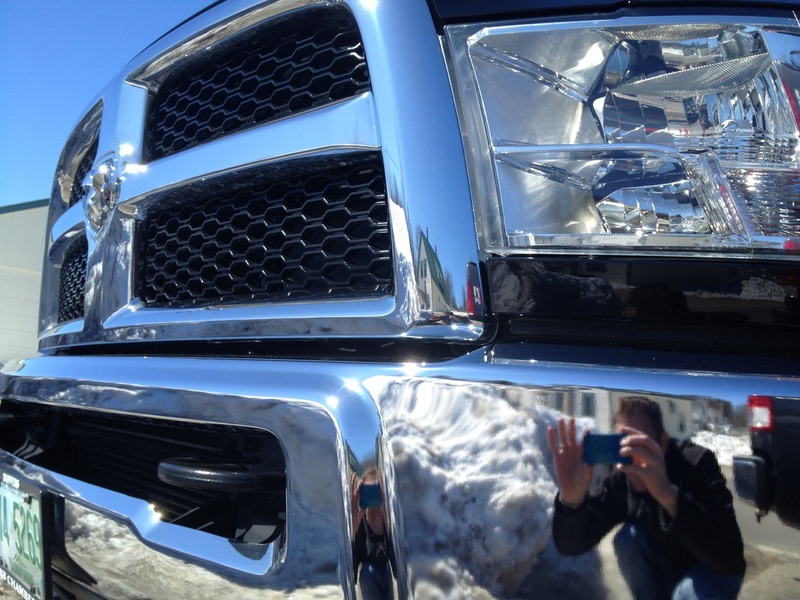 Wolfeboro Carwash & Executive Detail offers a wide range of automotive care services from a simple hand wash or basic full detail, to high-end paint correction, stain removal, and headlight lens restoration (clearing up cloudy lenses). 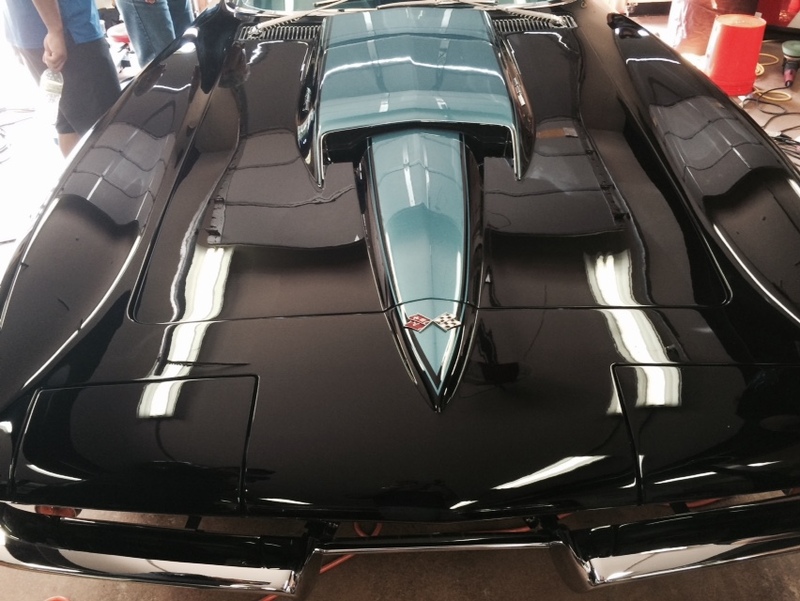 They also offer color restoration and full detail services on boats, as well as detailing for RVs and motorcycles. Wolfeboro uses the 3-step DrivePur odor removal system, which quickly and effectively removes contaminants from your car’s interior and exterior in less than thirty minutes. The harmless, invisible coating continues to improve your air quality for months, while continuing to fight surface pollution. For more information on Wolfeboro Carwash and Executive Detail and their participation in the Union Beach, NJ firehouses project, visit our website at www.wolfeborocarwash.com, www.facebook.com/wolfeborocarwash or contact Andrew Swenson at 603-941-0123. The Swenson Family thanks you! We are so excited to be working with WeatherTech. We have taken note, over the past several years, the vehicles coming into our detail shop with WeatherTech floor liners have carpets in much better shape than those without. The floor liners work great because they are custom fit to each vehicle and roll up the sides to keep snow, water and mud from rolling off the mat onto the carpet. You can even put the nice stock carpet mats over the floor liners in the summer months if you have to have the carpeted look in your car. WeatherTech also has rubber mats, side window deflectors which allow you to keep the windows cracked open without getting rain, and snow inside.....great for plowing, useful for all. 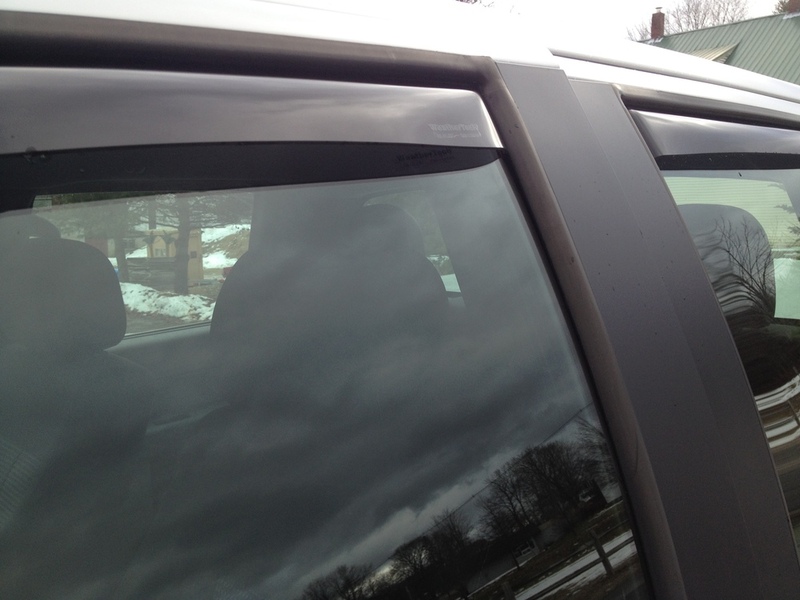 WeatherTech even offers bug deflectors, mud flaps and many other protective, stylish products. Call or email to ask about our special this month and see all that WeatherTech has to offer! We at the Wolfeboro Carwash & Executive Detail have just added the quickest, greenest, most effective new method for permanently removing odors from all types of vehicles, to our menu of high quality, top-end products. Using straight-from-the-laboratory technology, we utilize a revolutionary 3-step odor removal system for cars, trucks, boats, and RVs called DrivePur. The new Smok, Shok, and Prevnt technique utilizes an environmentally safe chemical formula known as TiO2 (Titanium dioxide), which captures ultraviolet light (UV sunlight), and when mixed with water, decomposes and eliminates bio-pollutants such as smoke, bacteria, germs, mold spores, and allergens. These contaminants are the source of all bad odors and unhealthy air that often lead to allergies, headaches, and even infectious diseases with long-term exposure. We have tried many odor control (ozone) and odor removal (enzyme injection) methods over the years but until now, those methods tend to require numerous applications over several days before finding success. Using DrivePur and its treatment known as UV-PCO (Photocatalyst), the detail technicians at Wolfeboro Carwash & Executive Detail can remove quickly and effectively, contaminants from your car’s interior and exterior in less than thirty minutes. The harmless, invisible coating continues to improve your air quality for months, while continuing to fight surface pollution! BMW has been testing the new M6 GranCoupe and is said to be available in 2013....click on picture for full story! Free Carwashes for Veterans Friday 11/11/11 from 10am-3pm. Clarke Plaza, Wolfeboro, NH: Wolfeboro Carwash & Executive Detail, along with over 1,300 other car wash locations across the nations will provide FREE car washes to veterans and current military service personnel, under the Grace For Vets FREE Wash Program on Friday, November 11th from 10AM-3PM. Washes will be given rain or shine. The FREE washes are given to honor and recognize those that have and are serving in the armed forces. This is the third year Andrew and Kara Swenson have owned the Wolfeboro Carwash and are proud to have been part of the Grace for Vets program since that time. Grace For Vets was founded by Mike Mountz, owner of Cloister Wash & Lube, in Ephrata, PA in 1998. For more information on this program, wash or detail services at Wolfeboro Carwash& Executive Detail please call 603 941 0123 or visit www.wolfeborocarwash.com or www.graceforvets.org. national program to emphasize the importance of support for veterans by the general public. to receive their free car wash.
show participating car wash owners’ support for our armed forces personnel and to reward the Veterans for their service. Grace for Vets happens each year on Veterans day. This will be the second year the Wolfeboro Carwash & Executive Detail has been involved with Grace for Vets and they intend to continue this annual tradition. Wolfeboro Carwash has had roots in Wolfeboro and the surrounding community for over 20 years! It has evolved from a self serve only carwash in the 1980’s to include 1 auto bay in the late 1990’s and another in 2004. Since 2008 when Andrew and Kara Swenson bought the carwash they have expanded to included a full range of auto, boat, RV and motorcycle detail services including compounding/polishing work, headlight lens restoration and much more, appropriately changing the name to Wolfeboro Carwash & Executive Detail. In June of this year they have also expanded to include car care product sales. They carry and distribute Glare Professional Products which are top of the line paint sealants, polishes, leather conditioners, spray detailers and other quality car care products. The Wolfeboro Carwash has also earned a reputation as the “go to” people for automotive care & information for daily drivers as well as exotic cars and hot rods. Please support the Wolfeboro Carwash & Executive Detail as they support our veterans! We at Wolfeboro Carwash & Executive Detail are proud to announce that we have just finalized a deal with Glare Professional Products to distribute and act as a service center for their Products. We have been using Glare Polish/Sealant in our detail shop for over a year and a half now and were so impressed with the product that we decided we would also carry their product line for retail sales. Glare is endorsed by several companies including Honda Racing and the L.A.P.D for use on their Aircraft, motorcycles and cars. Glare Polish/Sealant is a synthetic product using a covalent bond to have unmatched paint protection for your car, Motorcycle, RV, Boat or Aircraft. Glare also offers micro finish polishes, compounds, wheel cleaners/dressings, leather conditioner, spray detailers and other professional products to keep your investment protected. If you want us to do it for you, we have a full line of detail services available. Call or Email if you have any questions, would like to order products or make a detail appointment. How about that Pine Sap? If you live in New Hampshire, seasonally or year ‘round, sooner or later you are going to deal with pine sap. We have some of the most beautiful landscapes of lakes and mountains in the country and those landscapes include big, beautiful pine trees. These pines can grow over 100 ft tall so even if you are not parked directly under the tree a slight breeze can send that sap right onto your nice, clean car. Why is this a problem? Besides looking terrible on your paint job, pine sap is acidic (low PH) and can actually eat through the protective clear coat layer of your car’s paint. It can begin damaging your clear coat almost immediately so be sure to remove it or have it removed as soon as possible. 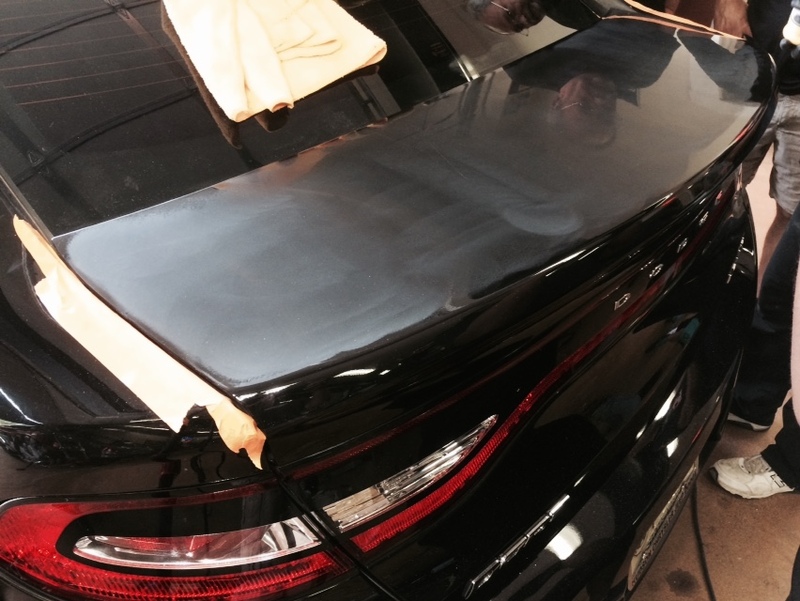 We run into this at the detail shop on a regular basis and even when the sap is completely removed you can actually see where it had been because the clear coat has a little ripple where the sap used to be. There are many products that will remove sap but be careful because many can damage your paint also and you can scratch it in the process. If you are not completely confident in removing pine sap yourself please contact us for tips or to make an appointment to have it professionally removed. Whatever you do, don’t leave it on car!!!! November 11, 2009 (rain or shine) at Wolfeboro Carwash and Executive Detail – Veterans may visit The Wolfeboro Carwash located in Clarke Plaza 35 Center St Wolfeboro, NH from 10am to 3 pm November 11, 2009 to receive a complimentary wash. The owners of the Wolfeboro Carwash and Executive Detail believe that it is important to remember those who have served our country and have designed a program to emphasize the importance of support for veterans by the general public. Veterans will only need to inform staff verbally that they are veterans in order to receive their free car wash. Starting on November 11, 2009, the program is designed to honor Veterans and to show Wolfeboro Carwash and Executive Detail’s support for our armed forces personnel and to reward the Veterans for their service. Grace for Vets happens each year at many participating carwashes around the country on Veteran’s day and Wolfeboro is now joining that honor. The Wolfeboro Carwash began in 1985 with self serve systems and eventually a semi-automatic rollover touch-free machine. The carwash was then sold to the Hughes Family where it was improved by adding a new automatic touch-free machine in 1997 and then in 2004 added another automatic touch-free machine. The building was also added on to, in order to accommodate the new machine and allow for the other bay to be upgraded in the future as well. There were also updates to the self serve system. The current owners, Andrew and Kara Swenson are the third to own the Wolfeboro Carwash and expanded the business in January to include a Detail Shop specializing in Paint restoration as well as general reconditioning of cars, boats bikes and RVs thus re-naming the business to Wolfeboro Carwash & Executive Detail. They currently offer 2 automatic bays, 3 self serve bays and vacuums all open 24hrs as well as the detail shop which is open by appointment. For more information on the Grace for Vets program or any services offered by the Wolfeboro Carwash and Executive Detail please visit www.wolfeborocarwash.com, call 603 941 0123 or visit in person at Clarke Plaza. What is Claying?? ?...and why should I do it? 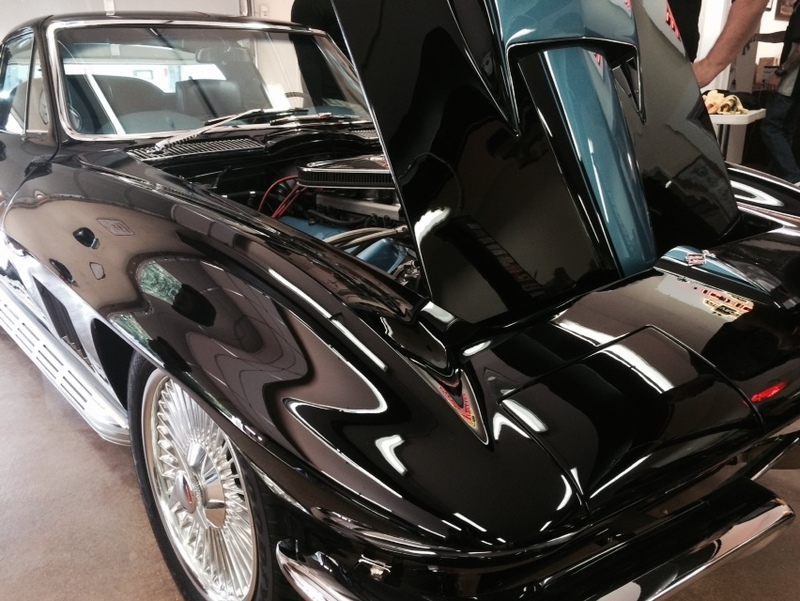 Whether you are an auto detailer here is Wolfeboro NH, across the US, or in another country, in the world of auto detailing “claying” is a common term. If you are not in the business you may ask yourself what is claying and what does clay have to do with cleaning a car? The answer is……if you are going to touch a buffing pad to your car, you really need to clay it first. An easy test, after you wash your car, is to run your hand over the paint surface of your car. You will feel a bit of grit on the paint and it will make a static like sound. Don’t be too hard on yourself, this doesn’t mean you did not do a good job washing your car. If it makes you feel better wash it again……but you will experience the same. The reason for this is that contaminants are actually bonded to, and embedded in, the clear coat of your vehicle and no matter how well you wash your car you will not get all of it off. Rubbing auto clay over your car’s paint surface with a lubricant removes this debris and leaves your clear coat clean and prepped to buff. You can see in the above picture that all of the contaminants are now on the clay......like magic.....sort of....except for the time and work you have to put in to it! We are proud to announce in December of 2008 we are opening a new branch of our business, Executive Detail of Wolfeboro. Why "Executive" detail? If we are going to do something it will be nothing less than the best. In October of 2008 the owner of the Carwash flew out to Boise Idaho along with his to-be head detailer in order to be trained by one of the best, if not, the best detailer in the country, Renny Doyle of Attention to Details, LTD. Renny is the detailer of Air Force One as well as many other well known celebrities in the US and he is a great guy. We are certified through his program and are now among the top percentage of detailers. We offer paint correction, head light restoration, carpet cleaning, interior ""q-tip" nook and cranny cleaning, wheel, tire, glass and engine cleaning at its finest. Your car is most like likely your second largest investment next to your home. Protect your investment!